The black Graphite Series 230T Compact Mid-Tower Case from Corsair is equipped with dual 120mm front intake fans with LED lighting, and a rear 120mm exhaust fan. 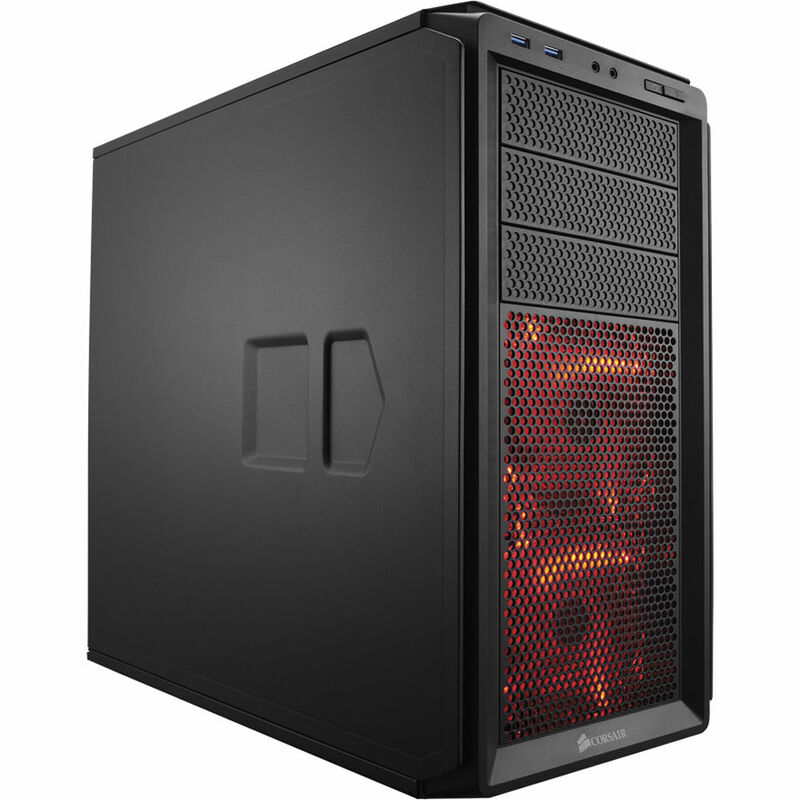 This case supports mini ITX, micro ATX, or ATX motherboard and has seven PCIe expansion slots. The seven PCIe slots are tool-free, so swaps and upgrades are quicker. You can install up to four 3.5" and four 2.5" drives (tool-free), simultaneously. It is equipped with two USB 3.0 ports, one headphone and microphone port for connectivity. External Drive Bays 3 x 5.25"
Box Dimensions (LxWxH) 22.0 x 19.0 x 10.0"
Graphite Series 230T Compact Mid-Tower Case (Black) is rated 4.0 out of 5 by 1. Rated 4 out of 5 by COG13 from Decent basic case I needed a basic mid-tower case and this does what I need. I built a high powered PC with a stout processor and graphics card to use for marketing video development. This case has enough slots and everything fit without any trouble.